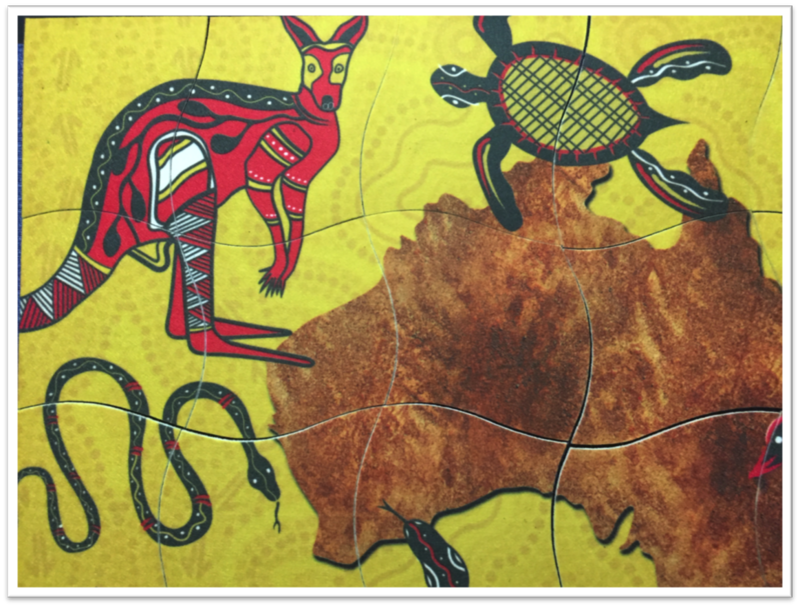 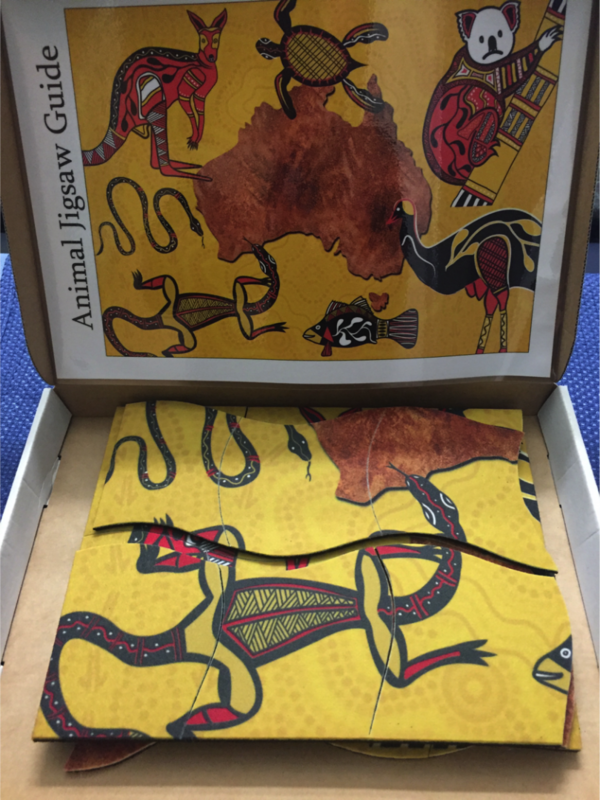 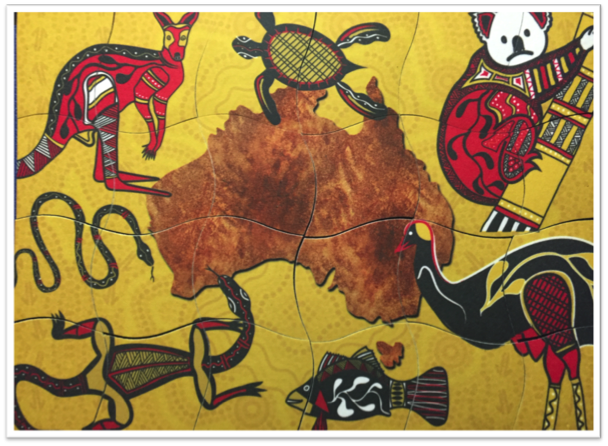 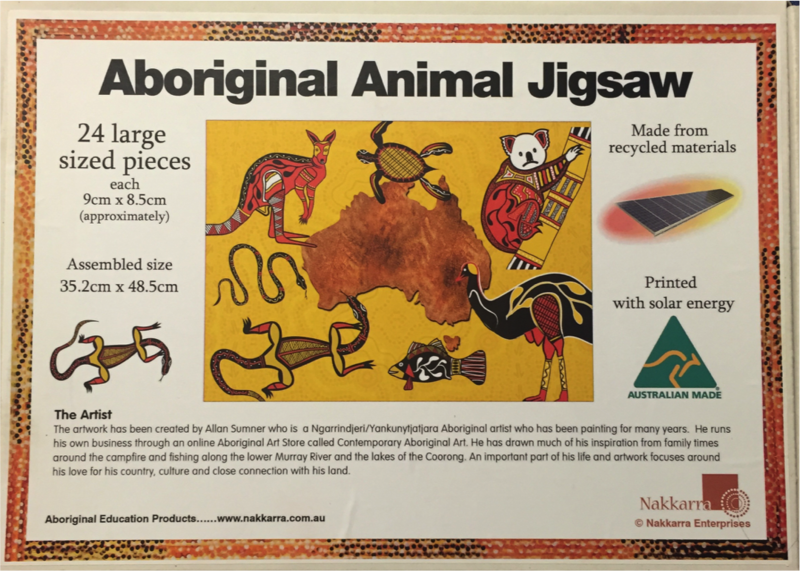 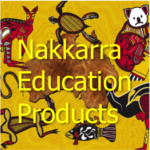 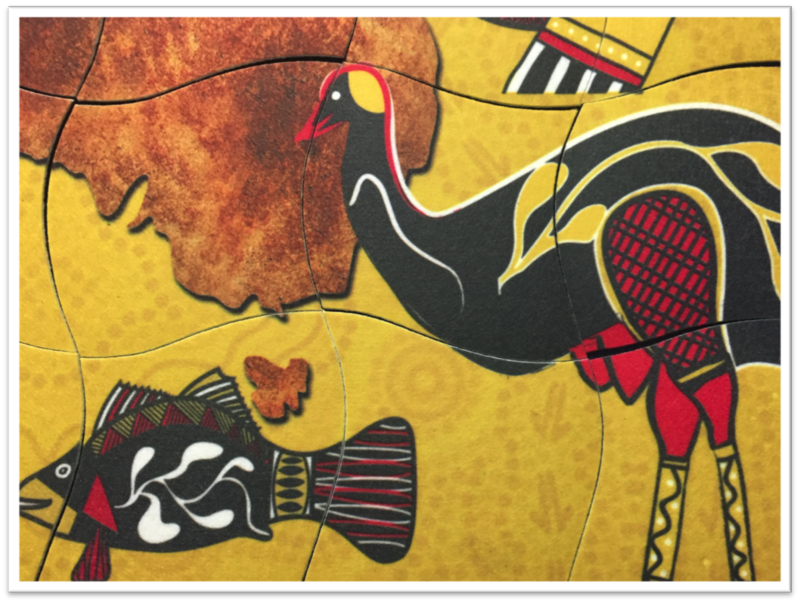 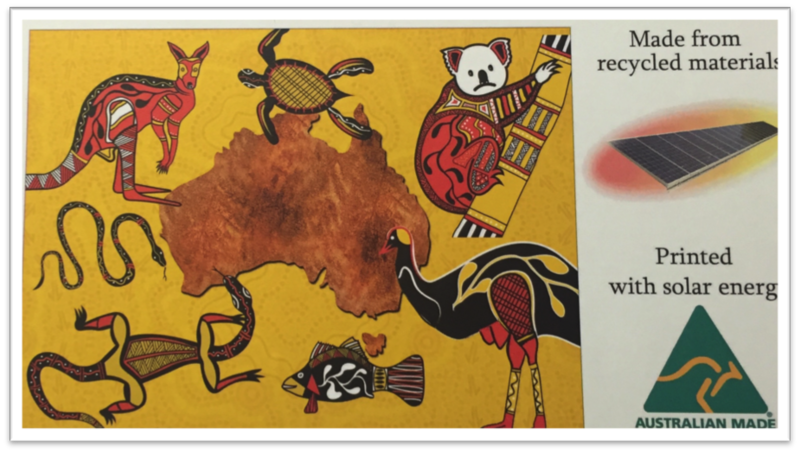 Great vibrant Aboriginal animal jigsaw. 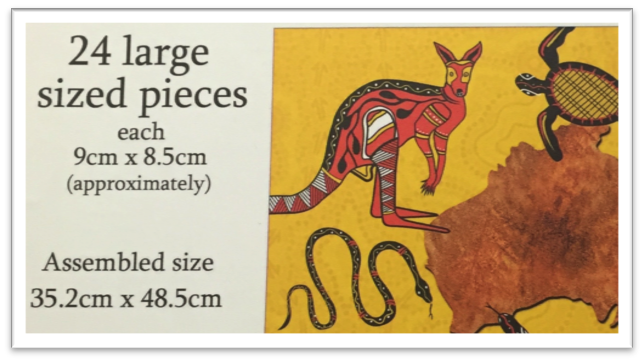 Great learning activities for young children with the large jigsaw pieces making it easy to fit them all together. 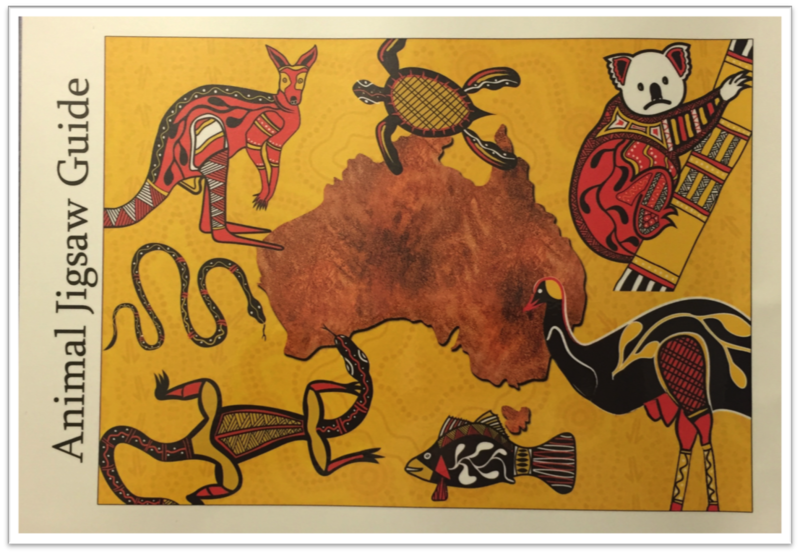 The artwork is thanks to South Australian artist Alan Sumner.